Welcome to another installment of If My Book, the Monkeybicycle feature in which authors shed light on their recently released books by comparing them to weird things. 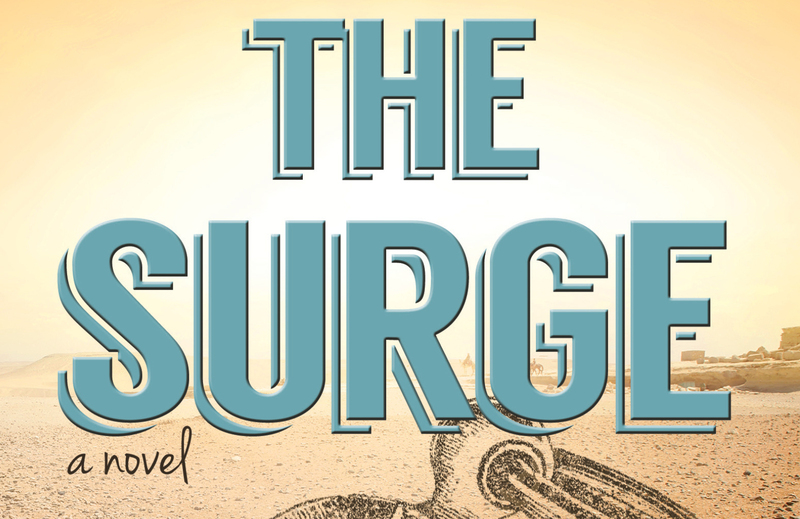 This week Adam Kovac writes about his debut novel, The Surge, out now from Engine Books. 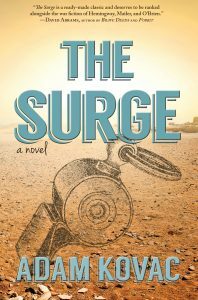 If THE SURGE were a sandwich, it’d be a grilled cheese with cheddar and provolone between thick slices of hand-cut rye bread, deep fried in jalapeño butter, and after eating you sit on the couch, listening to your arteries harden. If THE SURGE were a hangover, it’d be the kind where you wake up half-naked in the bath tub in a strange house, thinking you must’ve been hit by a charging rhino, and there’s a Post-It note on the soap dish that reads, “My name was Casey. I’m great.” And you’ve no recollection of meeting a “Casey” in your entire life. If THE SURGE were a TV series, it’d be sorta like “Twin Peaks,” the kind of show where no one can pin down what’s going on, or what it’s even about, but you and your pals eat edibles and binge watch it all weekend. Adam Kovac served in the U.S. Army infantry, with deployments to Panama, Haiti, Iraq and Afghanistan. A former journalist, he’s also covered the crime and court beats for newspapers in Indiana, Florida and Illinois. He lives in the Chicago suburbs with his wife and son. Follow him on Twitter at @Boondock60mm.